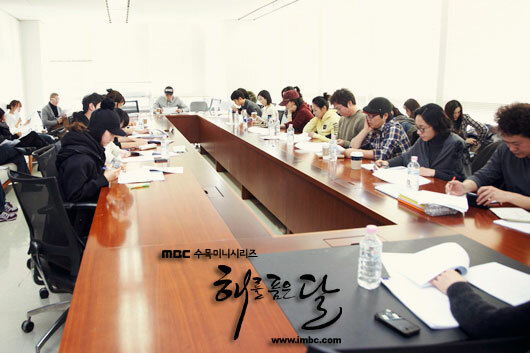 The MBC TV new Wednesday and Thursday drama series The Moon that Embraces the Sun (The Sun and the Moon) made public its dialog lines and script practicing session. 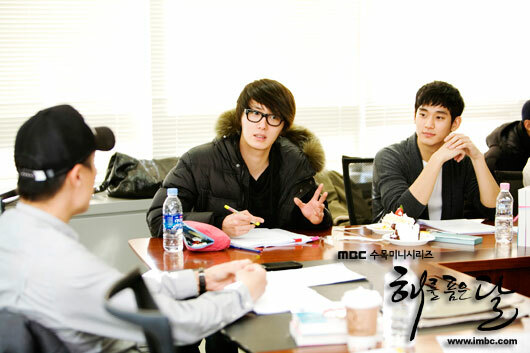 The main adult casts of the drama were practicing the script in the atmosphere that was full of Christmas joy on the afternoon 2pm of December 25th, 2011 at 6th floor of Ilsan MBC Dream Center. Jung Il Woo who is playing the role of Yang Myung and Kim Min Seo who plays the role of Bo Kyung are appearing in historical drama for the second time, and they interpret the feelings of the characters with a steady tone. 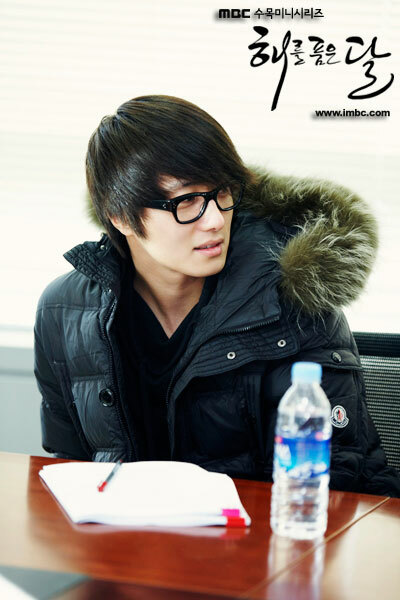 Finally, the director Kim Do Hoon said, "We gather together to rehearse at Christmas, let me have a good presentiment. 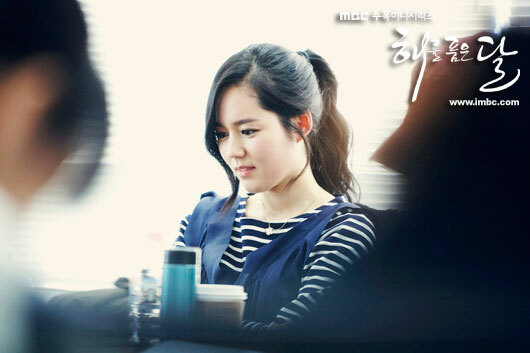 Although the new drama is a historical drama, but it's a story that develops based on the position of characters, while the plot is heavy but there is no lack of romance, hope that everybody can pay attention to ambitious and desire of each characters." The Moon that Embraces the Sun premieres on the evening of January 4, 2012.